The Microsoft logo is proudly displayed at the entrance to the event. This piece is written for the What the Tech?! column, and is the conclusion in a 2-part series of stories covering a Microsoft Event in New York City. To read the preview, click here. On Oct. 2, Microsoft hosted an event which, to say the least, was named with an understatement. The invitation read, “A Moment of Your Time,” which was true, but definitely does not encapsulate this momentous event. It was an action packed, product-crammed event, where Microsoft reflected on some of their various new “Modern Life” initiatives, and everything revolving around them. First, let’s discuss what “Modern Life” is. Modern Life is, in Microsoft’s context, the idea of making technology that helps to assist, and, to put it in the words of Panos Panay, Chief Product Officer of Microsoft, technology that “fades into the background” of your life. This bold strategy was aligned with what Microsoft announced with this event. Let’s break it down by category. There were quite a few Surface announcements, to say the least. First, Microsoft announced the Surface Pro 6, which is their tablet-PC hybrid device. This latest one was amazing. While I never thought they could make them lighter, thinner or more powerful, they somehow defied all expectations and did just that. The device now supports a quad-core processor, which means that it can now be even faster! Plus, it now weighs only 1.7 pounds and is even thinner in width than the last one! Plus, Microsoft released a new, Matte Black color option, which looks amazing! A quick peek at the new Surface Laptop, also in matte black. Next, Microsoft also announced the Surface Laptop 2, which featured some more under-the-hood improvements, plus another Matte Black color option as well. Lastly, Microsoft released the long-awaited update to the Surface Studio. This device now has an Nvidia GeForce GTX1060 and GTX1070 for graphics, which is amazing for those PC gamerheads. The new Surface Studio 2, with some under-the-hood and display improvements. Plus, it’s got Xbox wireless built-in, which means you can now use an Xbox controller with the device, no need for an adapter! It also features a 2TB solid-state hard drive and amazing new display with 13.5 million pixels. The Surface Studio is considered the most powerful Surface device. Pre-orders are now available for the Surface Pro 6, Surface Laptop 2 and Surface Studio 2. Microsoft announced that the Windows 10 October 2018 Update is now publicly available to all! This comes with a few new features, which I will talk about later. A breakdown of the inside of the Surface Headphones. the Surface Headphones and just like the rest of the Surface line, they are powerful. It features noise cancellation in quite a unique way, where the adjustment of noise cancellation level can be done manually on the left earcup, using a dial. Volume can be adjusted on the right earcup, also utilizing a dial, which both are extremely satisfying to spin and adjust. 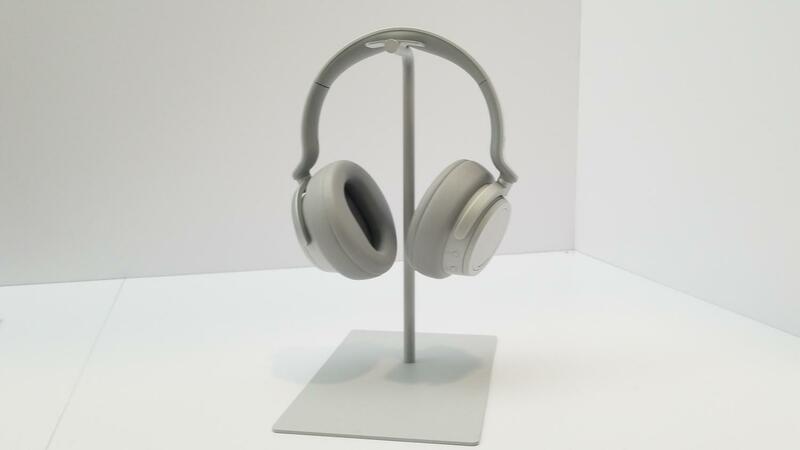 The headphones also feature the ability to pair up to two devices over Bluetooth, and can even interface with Cortana, for your various assistant needs. They are extremely comfortable to wear, and sound amazing! Can’t wait to get them when they come out! Microsoft has been previewing a new app called Your Phone. 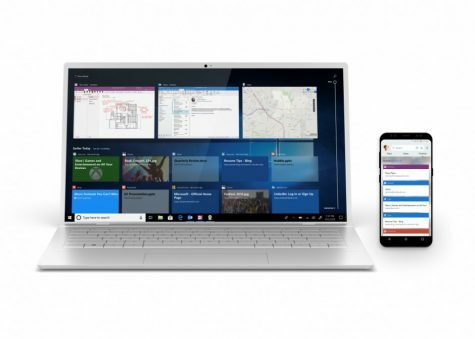 The premise of it is to bridge the gap between the phone and PC, allowing for text messages and photos to be synced between phone and Windows 10. It has now been publicly released for all, with the latest Windows 10 October 2018 update, and is an amazing tool to help save time, and not have to use your phone as much. Plus, Microsoft previewed the new ability for users to, in a future update, even mirror and use apps from their phone on their PCs! While it only works with Android currently, it is an amazing app, and I highly recommend using it. The new Windows Timeline feature now works with Microsoft Launcher on Android! As well, Microsoft Launcher, the Android launcher app that Microsoft has been working on for the past year, has now released it’s 5.0 update, with a new, redesigned feed. To simplify it, the new launcher update rocks, and I highly suggest that everyone who uses Android put it on their phones immediately. The new features include a timeline integration for mobile, where you can now look at and pick up where you left off Windows 10 tasks, on your phone! Plus, the feed now has a personalized news section, where the news changes based on your interests. Such an amazing update! Microsoft spoke quite a lot about the various points in the spectrum of the “Modern Life.” The Surface devices look to be quite a clear solution, from the hardware perspective and the Your Phone, Microsoft Launcher, and other cross-device features show its commitment to be growing. In the end, the event truly was about how Microsoft can make your productivity and life easier, by both blending work and personal life, and making the way we do work just a bit easier.